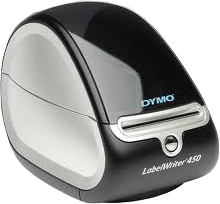 Thermal label printer (no ink needed) for name tags and guardian receipts. KidCheck labels sold separately. Also, don’t forget cleaning pads to keep the printer working properly.